Carry trades use to be one of the most popular trading strategies for retail forex traders, but in the past year, that has changed significantly. The Japanese have always been the biggest buyers of carry trades but having been burned significantly, they are finally starting to cut their losses. According to the latest data from the Tokyo Financial Exchange (TFX), one of Japan’s largest retail FX brokers, traders have become a net seller of GBP/JPY (Related: Japanese Retail FX Positioning). After hitting a high above 250 in July 2007, GBP/JPY has fallen 48 percent. The positioning data suggests that the Japanese have been sitting with their long carry trade positions for as long as they can and now that interest rate differentials have compressed so significantly, they are finally bailing. At TFX, 69 percent of all GBP/JPY transactions as of Feb 3, 2009 is to sell the currency pair. Although, many of the other yen crosses have also depreciated significantly over the past year, Japanese investors have been hesitant of shorting carry trades aggressively because they still have to pay interest on any short positions. With GBP/JPY however the interest rate differential rate differential is falling and falling fast. As the cost of shorting carry trades fall, we could see more interest from Japanese retail traders. 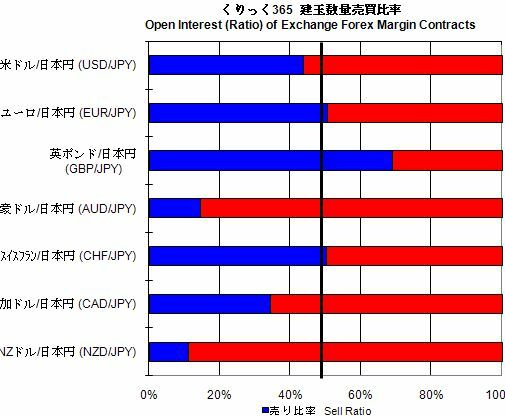 In the meantime however, for the pairs that still have higher interest rate differentials like AUD/JPY and NZD/JPY, short positions will not be held long. We all know that Japanese traders have been obsessed with the carry trade. However given the more than 30 percent decline in many of the Yen crosses last year, many people may be wondering how many Japanese carry traders are still in the game. Can these traders still remain committed to their long AUD/JPY and GBP/JPY positions given the big losses that they have already taken? 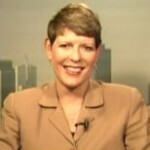 My good friend Rhonda Staskow has compiled some great charts illustrating the changes in long yen positions at Tokyo Financial Exchange (TFX) and Gaitame.com, two of the largest retail currency brokers in Japan. These charts run from May 28 2008 to Jan 6, 2009 and are presented as the percentage of longs in overall positions. 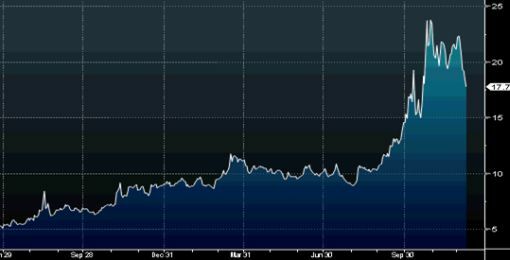 Has Currency Volatility Hit a Peak? On Tuesday, we talked about how volatility in the forex market has exploded in 2008. Although trading ranges expanded significantly in October and November, volatility has contracted since the beginning of the month. The following chart from Bloomberg illustrates how far 3 month volatility for the EUR/USD has fallen since hitting a record high in late October. Anyone that follows the currency market on a regular basis can attest to its recent range trading behavior. There are good reasons for the compression in volatility as the year is winding is coming to a close and new positioning becomes one of the last things on the minds of currency traders. It has been a tough year and many funds are closing their books early to lock in remaining profits. If volatility does continue to fall, it would help carry trades recover. One of the big reasons why the Japanese Yen has outperformed this year is the explosion in volatility. However it may still be premature to say that volatility in the currency market has peaked because December 16th will be a historic moment for the US Federal Reserve. Not only are they expected to take interest rates to the lowest level this generation has ever seen but they have to figure out how to effectively signal their intentions of taking US interest rates to zero without completely spooking the markets. Thin trading going into the holidays can also exacerbate moves in the currency markets. I remember how the EUR/USD increased 300 pips between Christmas and New Years in 2007 and did the same in the first 3 trading days of the year. 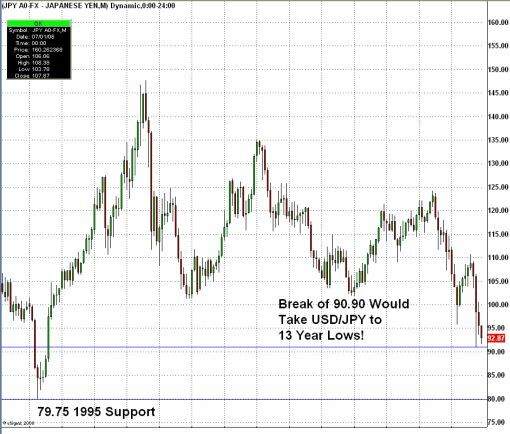 What Could Drive USD/JPY to 13 Year Lows? We are inching closer to a formal bailout plan for the Big 3 automakers and as previously suggested, regardless of the final outcome, the markets will cheer an end to the drawn out drama. The rally in equities this morning have driven major currencies higher against the US dollar and Japanese Yen, but it remains to be seen whether the improvement in investor sentiment will last. We are walking into a lot of potentially weak economic data on Thursday and Friday that could serve as a harsh reminder of the problems that the US economy faces. The PPI and retail sales figures should resurrect concerns that deflation and depression will hit the US. The Treasury market is already pricing in the possibility of deflation and depression with yields in zero to negative territory for the first time since the Great Depression. Fed Fund futures are pricing in a 100 percent chance of a 75bp rate cut from the Federal Reserve next week. This would take US rates to 0.25%, making the US dollar the lowest yielding currency in the developed world. Although the greenback has remained weak against the Japanese Yen, if the Fed takes interest rates to zero, we could see the dollar fall to 13 year lows against the Japanese Yen.